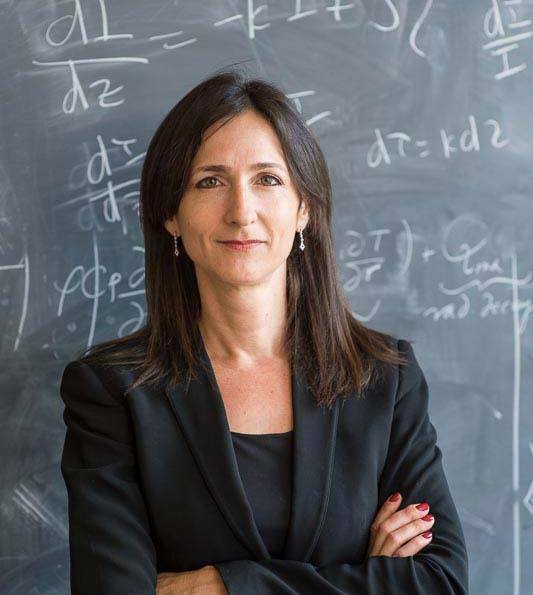 In May of 2014, MIT's Dr. Sara Seager answered questions about exoplanets, the search for life, and the next technologies (like JWST!). Dr. Alberto Conti provided some additional answers to JWST questions. The answers are very succint due to Twitter's 140 character limit (and we also added the #search4life hashtag to each answer). Often the questions are rephrased in the answers so that our Twitter followers would know what we were giving the answer to. A: If we find life (bacteria) on Mars, we will be so excited but continue to explore as planned. A: Finding life should jolt some segments of society. Unless life comes here likely no change for global politics. A: Exoplanets has shown all of our preconceived notions should be discarded! Magnetosphere may not be essential. To detect we would need a space radio array far from Earth... working on it! A: Magnetosphere is related to the planet interior not the atmosphere (dynamo generated via liquid core). A: The fact that small planets litter our Galaxy. We just have to build the right space telescope(s) to find them. Embarking on the "real search for alien life" by being the first generation capable of finding signs of life. A: Super exciting that Kep 186f and other "potentially habitable" planets exist. For Kep 186f we only have the size and stellar heating rate. Your guess about life there is as good as mine. A: In the near term only limited onboard spacecraft processing algorithms are needed. In the far future robotic exploration may be essential, especially for real-time decision making and exploration. A: Our view is so limited! We find big planets and planets close to the star, that's it for now. Over time with new space telescopes we will find out the true pic, but it will take many years if not decades. A: A huge world-wide desire for interstellar travel, but yes it's beyond us for now. In the meantime the #search4life is exciting. A: Europa mission would melt through the ice. Water underneath, no atmosphere. Don't see any water plumes from afar. A: TESS (launch 2017) will find a pool of planets for #JWST (launch 2018) [Editor's Note: launch currently scheduled for 2021] to followup with atmosphere study. So 2021s. A: We can't live on Europa but think the ingredients for life are in Europa's under-ice ocean. Atmospheres are common, just not around very small bodies such as some moons. A: Working on the visual snapshot. But it will be a "point of light" not a resolved image with continents. The snapshot will take a new kind of space-telescope that can block out the starlight to 1 part in 10 billion. A: If other nearby civilizations (if they exist) have our space techology capability and $$ they can find us. A: To spatially resolve another nearby Earth, something like 50 telescopes each of 50 m in diameter working together! A: So far non-transiting "hot Jupiters" have been studied using CO lines and the rapid velocity change during orbit. A: We have plan for a large enough telescope mirror size to see spectral band features on other Earths. A: #JWST is not capable enough to see large-scale intentional planet alteration. Great topic, though. A: Yes my everyday life has changed because of the growing excitement and desire to be involved from all of you! A: I do actually speak to kids (have a 9 and 10 year old) and I implant the "think big" high risk high reward. I tell kids that every star is a sun, planetary systems are common, and we want to study planet atmospheres. A: We will #search4life via gases that "don't belong" assuming only that life involves chemistry to store and release energy. A: Yes for G stars we want to find our "twin Earth". Target selection is an endless, endless process. A: JWST and other future telescopes can barely detect signs of life. So "no" for changes as in gl warming. A: You would be surprised how many people share this sentiment and how much we hope that future generations are able.